Blanchard House Inn in Little River, CA. 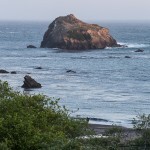 Large Rock off Van Damme beach, sometimes called Whale Rock because it looks like one from the air. Blanchard House has been accommodating visitors for over 20 years. 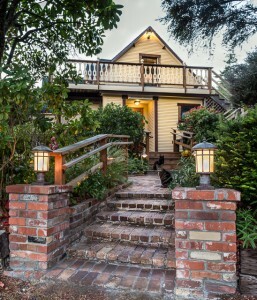 As one of the few 2-person guest rooms on the Mendocino Coast, it has certainly lived up to the test of time. Blanchard House continues to host guests where they can relax in a spacious guest room suite with their own private entrance and large balcony deck which overlooks a spectacular ocean view. Guests will enjoy the comfortable king-size bed, private bath with clawfoot tub and shower, flat panel TV, mini-fridge, coffee maker (including gourmet coffee), hot pot for tea (tea included), and especially the gracious service of their own personal innkeeper. The rate of $225 includes all the above amenities. Breakfast at a nearby dining establishment. is available daily. A two-night minimum applies on weekends if a Saturday night is included. Inquire about winter rates from March through November. Call the innkeeper at (707) 937-1627 for reservations or use our contact form to check availability. 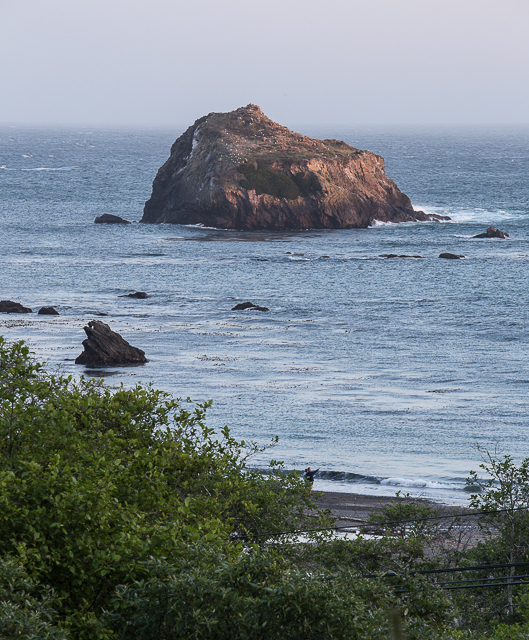 The view from Blanchard House is one of the most interesting along the Mendocino Coast. Rock formations and bluffs line the edge of the Pacific with the beach just a short walk from your room. The adjacent Van Damme State Park has many hiking trails, and it’s Fern Canyon is filled with every shade of green imaginable. 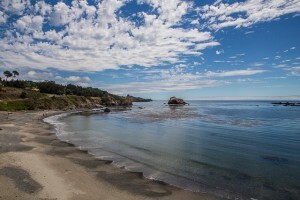 The beach is a favorite place of visitors and locals to walk along the shoreline, collecting gems of abalone shell and small colorful pebbles. 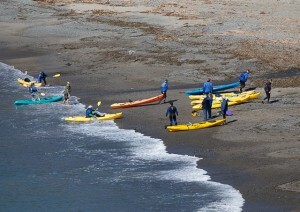 During low tide the tide pools are some of the best to view the sea life that aren’t usually seen otherwise.